Well this one was well overdue, as it happened over a month ago —as you may have guessed from the title. In the meantime I’ve flown half way across the globe and back AND have another haul up my sleeve because of it. 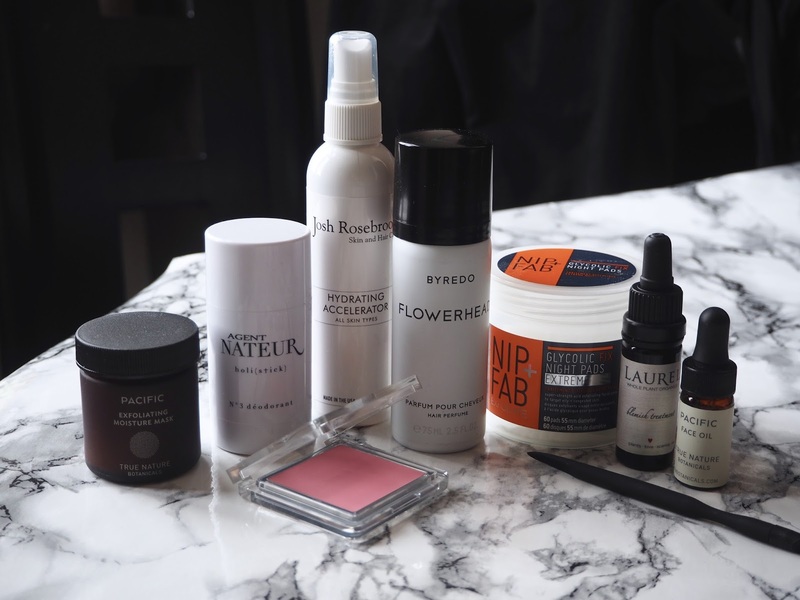 I was very close to not even write about this, but because it’s featuring quite a few products that slowly have become daily staples, I figured it’d be worth a shot. I ordered the majority of the haul via Beauty Heroes’ shop, which was totally enabled by the green beauty community online (also, as a subscriber to their beauty box I get 15% off. FIFTEEN PERCENT!) I got Agent Nateur (holi)stick N° 3 Deodorant – ANND for short – because I discovered that my La Vanillia gave me red rashes and irritated the heck out of my armpits, leaving them red and angry. I’ve been using ANND on a daily basis since I got it and it is brilliant. It smells great – eucalyptus, lavender, avocado butter, coconut oil, honey: HASHTAG GOODNESS – glides on smoothly and keeps the pits odour free throughout the day. Added bonus: it’s aluminium free. Whilst getting the deodorant was a fairly well thought out purchase, everything else that’s about to be mentioned: not so much. I’ve been lusting Josh Rosebrook’s Hydrating Accelerator for as long as I know the brand —which is long. It’s just as good as I hoped it to be and my skin’s been calm, happy and hydrated. Next up? Laurel WPO’s Blemish Treatment. I lusted for this once I saw a peek of this on Instagram, late 2015. A beautiful oil concoction that contains Thyme and Tamanu, which tackle inflammation. Lavender and Blue Chamomile that calm the skin, and Helichyrum, which is a natural scar reducer and repairs tissue. I pat in a few drops on my blemished areas and have noticed great results so far. It’s not an immediate zit zapper, but it’s calming my skin heaps and is reducing hyper pigmentation as we go. Alongside my cheeky order, I got my usual Beauty Heroes box, which is by far the best beauty box out there. In terms of value, price and product. I’ve yet to properly try the True Nature Botanicals Pacific Face Oil, but my first impressions are good. Nourishing but not heavy. Fragrant, but not overwhelming. The True Nature Botanicals Pacific Exfoliating Moisture Mask is an interesting one though. Chockfull of healthy acids, it removes dead skin cells —leaving the skin as smooth as a baby’s bomb [insert peach emoji]. When I had some dry patches/red rashes on my skin and used this, it was a bit too intense as my skin started burning a little bit. It does the job greatly and doesn’t leave the skin dry, but I’m leaving this on the side when my skin feels a bit rough, as it may do more harm than good. Not purchased in the same time span, I got BYREDO’s Flowerhead Hair Perfume —as enabled by my £5 Liberty Beauty voucher. It’s a massive splurge, but oh so worth it. I love BYREDO and have yet to be able to fork out the $$$ for the actual perfume, but I guess this a small step in the right direction no? On a random venture out to & Other Stories, I picked up their Cheek & Lip Tint in x, which is a blue-toned pink cream blush —I’d not use this on my lips, ever. I usually wouldn’t necessarily go for this type of colour, but it was 70% off and I thought it’d be worth a try. And it bloody was. I’ve been wearing this everyday since and it’s amazing. It’s a very subtle and natural rosy pink, which makes replicating this healthy flush very easy. 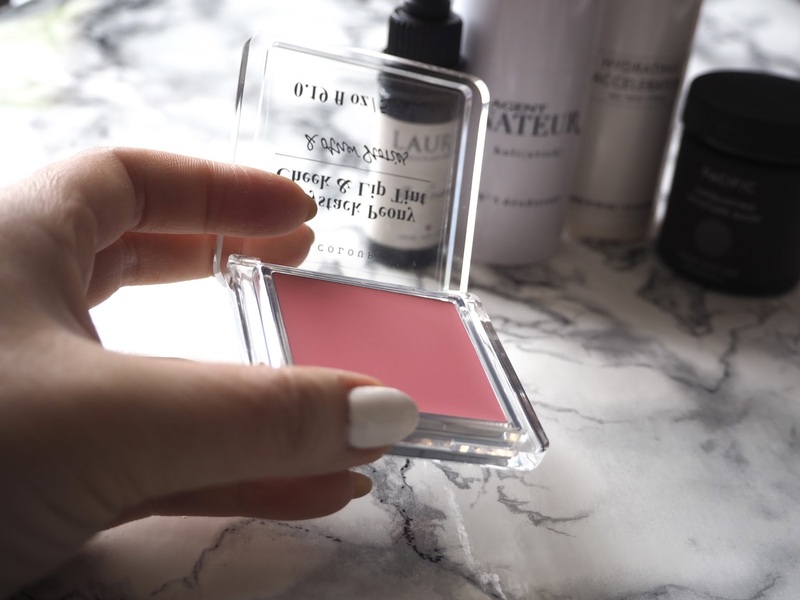 Staying power isn’t amazing, so I’ve been dusting a powder blush on top, which is the dream. I also got their Cuticle Pusher —not so exciting, but very necessary. And lastly… A Caroline Hirons enabled purchase. She was raving about these Nip & Fab Glycolic Fix Night Pads Extreme in one of her blog posts, they were less than half price at Superdrug and it just happened. They’re less intense than my Peter Thomas Roth Un-Wrinkle Peel Pads – which contain 20% glycolic acid and they’re the bomb dot com – but I quite like them. The citrus scent is slightly off putting, but I like to rub this over a freshly squeezed blemish, as it reduces the scarring by quite a bit. Don’t get me wrong, it may sting like a mofo, but it works like a dream.